We will pursue specific engineering design using a modified MR systems architecture with added ‘real-time interactive (RTI)’ capability that was previously developed by us. 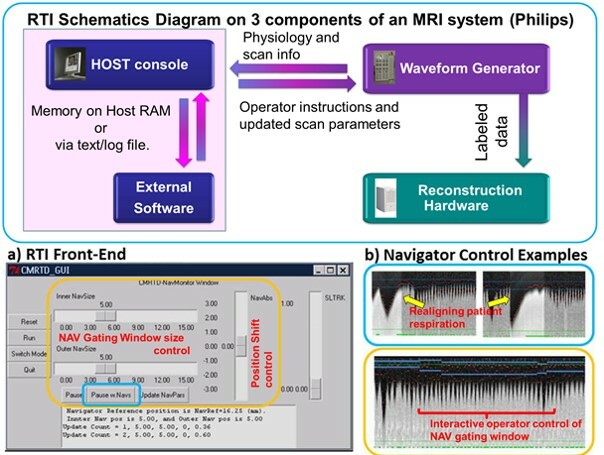 Using this RTI platform, MRTD will build specific solutions that overcome existing bottlenecks for highly sophisticated research techniques from being clinically translated into the patient imaging setting. c) real-time and interactive optimized guidance of clinical scanner hardware using emerging technologies, including neural network-based methods.